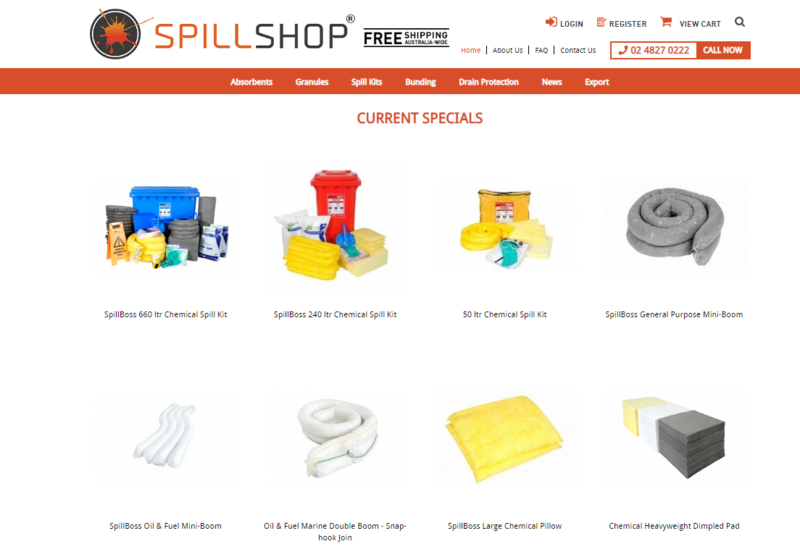 SpillShop is a major supplier of the most reliable range of equipment for spill response and liquid containment, with products including absorbents, granules, spill kits, bunding and drain protection. As SpillShop plays a major role in the environmental protection industry, they consistently provide high-quality equipment and service to help protect the environment, the health of local communities, and most importantly, the businesses of their customers. SpillShop aims to furnish their customers with safe and environmentally friendly products for handling liquid spills of any type, including oils, fuels, coolants and chemicals. SpillShop serves customers nationwide, offering free delivery and returns across Australia. Established in 2017, this company aims to fill a gap in the online marketplace for spill response and liquid containment products in Australia and South-East Asia.  SpillShop also exports their products throughout the APAC region, and required a functional, user-friendly website with a streamlined online shopping process, able to be accessed across multiple devices. For this reason, SpillShop entrusted The Website Marketing Group to build their online store as well as set up a SEO & SEM strategy. 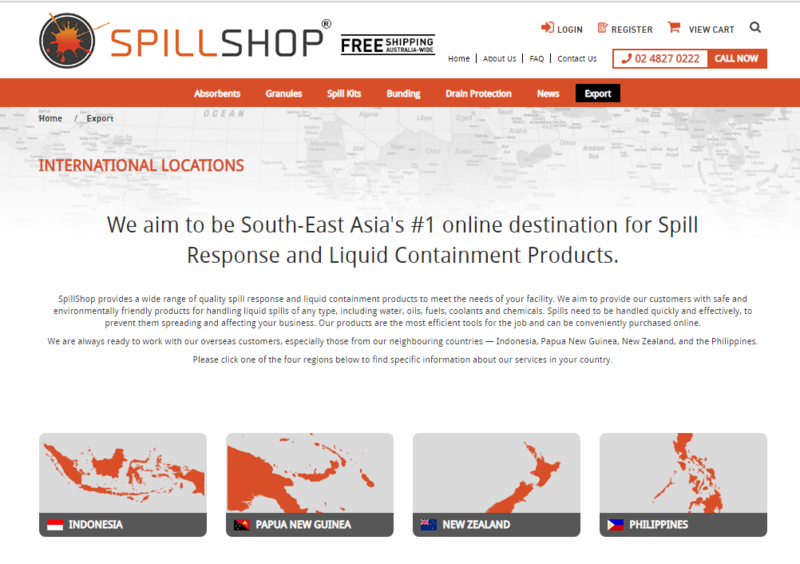 The team at TWMG designed and developed the new SpillShop website with reference to the colours in the company’s logo, and customised the Export page to reach potential customers from Indonesia, Papua New Guinea and New Zealand. For the CMS, we chose Magento, a content management system which will allow the SpillShop staff to easily add, update and manage products and industry news on their website. After implementing its chosen SEO strategy, TWMG has elevated SpillShop to the first page in search engine results for its industry, resulting in an increase in traffic to their new website. 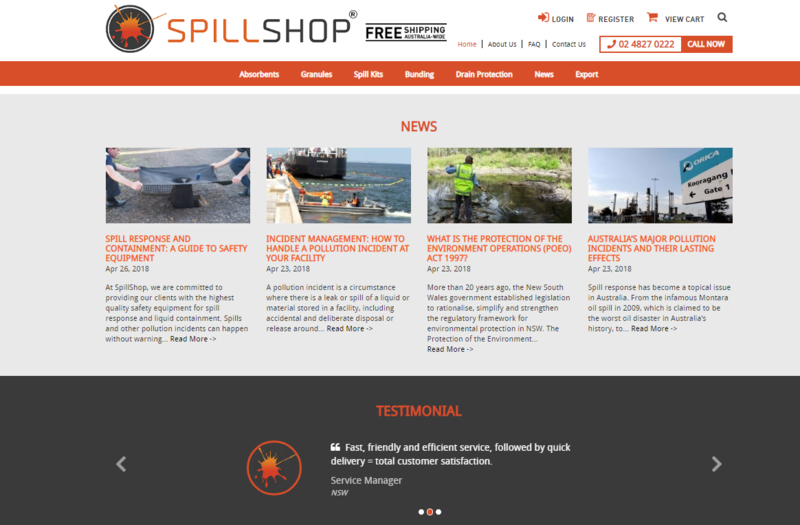 The SpillShop website design is geared towards an efficient and positive customer experience, with visitors able to easily find and purchase the product that they need, both within Australia and throughout the APAC region.